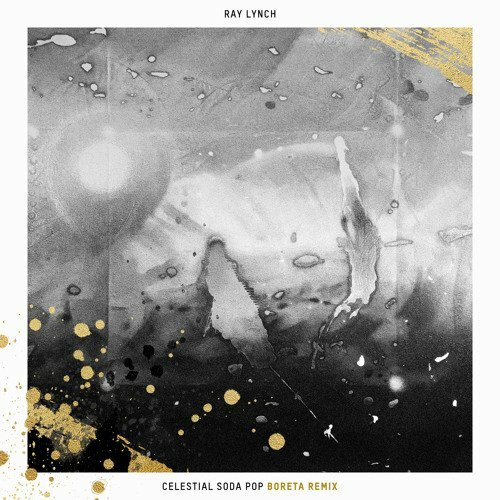 The Glitch Mob’s Boreta remixed Ray Lynch’s classic, “Celestial Soda Pop”, and it’s a wholehearted homage to the importance of the latter’s work. Lynch’s original recording of “Celestial Soda Pop” harkens back to his 1980’s album, Deep Breakfast, a new-age milestone and the first independently released album to be certified Platinum by the R.I.A.A. Boreta starts by taking his rework to an even spacier place than the original, setting the iconic melody against a lush synth-laden backdrop. After the initial flutter of emotion a kick settles in to propel the song, eventually dropping into a downtempo-style drum beat that pairs perfectly with the track. As the song progresses soundscapes rise to envelop the melody, leaving dreamy wisps of notes and chords to resonate with listeners. Boreta’s remix is a moody and instrumental way to keep Lynch’s classic version relevant to a new generation. Keeping things simple and allowing the melody to shine through as it did in Lynch’s version, Boreta shows his reverence for the song while still updating it to something entirely new. By creating a sonic blanket within which to lay Lynch’s timeless melody, Boreta’s remix is carrying the torch and bringing “Celestial Soda Pop” to an entirely new group of listeners. Listen to Boreta’s remix of Ray Lynch’s “Celestial Soda Pop” and grab the free download today. For more of the freshest sounds, exclusive guest mixes, dope playlists, and everything electronic music, stop depriving your ears and follow us on SoundCloud today.